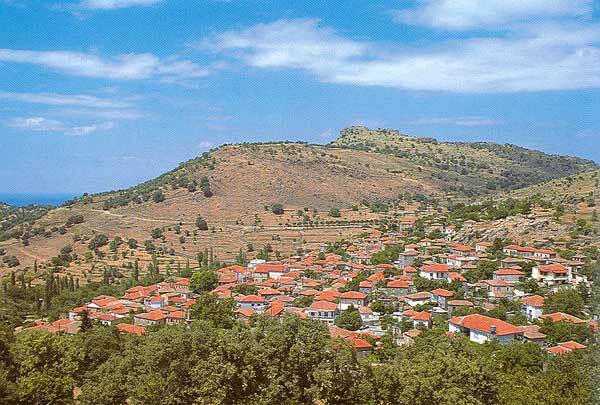 Greece’s third-largest island, Lesvos is marked by long sweeps of rugged, desert-like western plains that give way to sandy beaches and salt marshes in the centre. To the east are thickly forested mountains and dense olive groves – around 11 million olive trees are cultivated here. The port and capital, Mytilini Town, is a lively place year-round, filled with exemplary ouzeries and good accommodation, while the north-coast town of Molyvos (aka Mythimna) is an aesthetic treat, with old stone houses clustered on winding lanes overlooking the sea. Along with hiking and cycling, Lesvos is a mecca for birdwatching; more than 279 species, from raptors to waders, are often sighted. The island's therapeutic hot springs gush with some of the warmest mineral waters in Europe. Despite its undeniable tourist appeal, Lesvos' chief livelihood is agriculture. Its olive oil is highly regarded, and the island’s farmers produce around half the ouzo sold worldwide. The island of Lesvos is blessed with Award-winning beaches , traditional villages , more varieties of birds and wildflowers than anywhere in Europe, pine forests, medieval castles , scenic harbors with cafes and inexpensive seafood restaurants , abundant fish, museums including two of the finest art museums in Greece, hotels of every class and category, and some of the warmest, friendliest people in all of Greece. Lesvos has been a favorite location for artists, writers and romantics. Its natural attractions include a petrified forest , and the unique Hot Springs, health inducing spas that are dotted around Lesvos. Many have been in use for thousands of years for rheumatism, arthritis, gynaecological and dermatological ailments,as well as kidney and gallstones, neurological ailments, bronchitis and sciatica.